Blurb Description: Uni beckons. 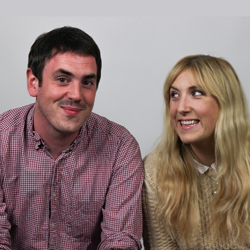 Phoebe can't wait to be a fresher - especially since her crush from school will be there too. She'll be totally different at Uni: cooler, prettier, smarter ... the perfect potential girlfriend. She'll reinvent herself completely. But Luke's oblivious, still reeling from the fallout of the break-up with his ex. Thrown head first into a world of new friends, parties and social media disasters - can Phoebe and Luke survive the year, let alone find each other? Reading Freshers is probably the MOST fun I’ve had reading a book in a while. I went in with no expectations of what I would get and honestly, I REALLY REALLY LIKED THIS BOOK. More importantly, this book made me LAUGH. Multiple times. Not just smile or THINK the thing happening was funny, but actually ACTUALLY laugh. This is actually the second book I’ve read by Tom Ellen and Lucy Ivinson – I read Lobsters many years ago. While the concept of that book was nice enough, the actual execution felt long and dragged out and THERE WAS JUST SO MUCH ANGST? 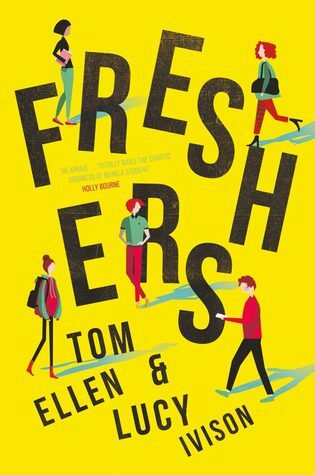 Freshers, on the other hand, was a fun, real and hilarious book to read that I absolutely enjoyed. I love that it took on so many important topics that college (and high school) level girls face, how jarring it is to make the jump from school to university, how to find real friends amongst all the drunken haziness, and how the boy you’ve been crushing over from a distance may just be better off in your head. I LOVED Pheobe, Frankie and Negin and the rest of D Block. I also ADORED the chemistry between Josh and Pheobe and honestly, I had a great time reading this book as a whole. Would I recommend it? YES! 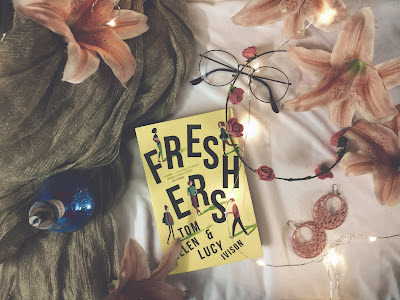 I had such a fun time reading this book that kept me smiling of thinking through the 300+ pages and if you’re looking for a contemporary read that’s more than your average YA, READ FRESHERS. Tom Ellen and Lucy Ivision met at the end of high school and quickly became sweethearts. Though they broke up in college, they remain best friends. Lucy runs the online teen magazine Whatever After and teaches in girls' schools across London, specializing in building confidence and creativity. Tom is a journalist and has written for Time Out, Vice, ESPN, Glamour, and many other publications. They co-wrote A Totally Awkward Love Story, which was partially inspired by their own high school relationship, with Tom writing Sam's chapters and Lucy writing Hannah's. Freshers is their latest novel. What are some of the more fun contemporaries you've read recently? I'd love any and all recommendations!